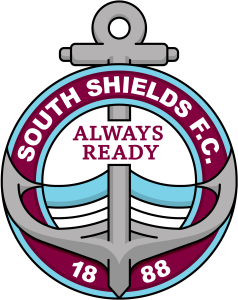 Joint manager Lee Picton says South Shields have “eight cup finals” left as they aim for a fourth consecutive promotion. Shields welcome Hyde United to Mariners Park on Saturday as they look to keep the pressure on top two Farsley Celtic and Warrington Town. Their entire focus is simply on what they can control, starting with the visit of Hyde. Picton said: “With eight league games to go, it might sound like a bit of a cliche but we must treat each one almost like a cup final to ensure we get as close to maximum points as possible to keep the pressure on Warrington and Farsley Celtic above us. “It certainly isn’t going to be easy against Hyde, though. “We’ve had some very competitive games against them over the last couple of seasons and we’re expecting exactly the same on Saturday. Shields and Hyde were promoted together from the Evo-Stik North Division last season, and have already met twice so far this campaign. Hyde beat Shields 4-1 in the reverse fixture in the league before falling to a 2-1 defeat at Mariners Park the following month in the FA Trophy. That loss at Hyde proved to be something of a turning point for Shields. It was their sixth defeat in seven games, but since then they have lost just three of their 28 matches. Saturday’s game will be Shields’ first since beating Marine 2-1 on March 12, with last Saturday’s trip to Workington having been postponed. The Mariners squad took part in an in-house friendly in the absence of a fixture, with a number of the club’s brightest academy prospects making the most of their chance to shine. Shields go into tomorrow’s match without injured trio Carl Finnigan, Barrie Smith and Gary Brown. Kick-off at Mariners Park is at 3pm and admission prices – which can be paid at the turnstiles – are £10 for adults, £8 for students and over-65s, and £3 for under-16s. You can secure discounted tickets in advance by clicking here before midnight on Friday.